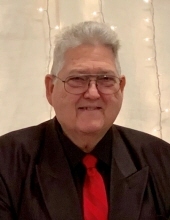 Larry McCormick, 73, of Robinson, IL, died at 3:21 a.m. on Monday, February 4, 2019. He was born on February 18, 1945 in Robinson, IL, the son of Arthur McCormick & Bessie (Tracy) McCormick, both of whom preceded him in death. He was also preceded in death by his brother, Randy McCormick. He married Ila Rozan Worth on June 17, 1972, and she survives. He is also survived by children & spouses, Kim & Rodney Burton (Robinson, IL), Amanda & Eliseo Ferreyra (Neuquén, Argentina), Joshua McCormick & Suzanne Hambrick (Annapolis, IL) and Angela & Kyle Zapor (Robinson, IL); by his grandchildren, Shaley Garrard, Abi Ferreyra, Sami Ferreyra, Noah Zapor, Josiah Burton, Hana Ferreyra, Kaleb Zapor and Sofi Ferreyra; by his sisters, Marjorie Osborn (Robinson, IL) and Sheryl & husband Dan Cleaves (Dyersburg, TN); as well as several nieces and nephews. Larry grew up in the Robinson area and was a 1963 graduate of Robinson High School. He would go on to bravely serve his country in the U.S. Air Force during the Vietnam War. Back home, he dedicated his life to sharing the good news of the gospel. As pastor of Dayspring Christian Fellowship in Trimble, IL, it was evident that Larry’s devotion to Christ brought light and life to all those he had the opportunity to minister to. Outside of the ministry, chances were that he was out riding his motorcycle if he wasn’t busy tinkering under the hood of his car. If it was too cold outside, he would spend his time either woodworking or working a crossword puzzle. Larry, by all accounts, found purpose in fixing things, and would go to great lengths to show his love in this way. He was a sweet, selfless man who gave his heart and soul to his family, his community, and his Lord. A time of visitation will be held from 4:00-7:00 p.m. on Friday, February 8th at the Goodwine Funeral Home in Robinson. Funeral services will be held at 2:30 p.m. on Saturday, February 9th at the funeral home with his sons-in-law, Rodney Burton and Eliseo Ferreyra officiating. Burial will be in the Robinson New Cemetery, where military services will be conducted by the combined units of the Robinson V.F.W. Post #4549, the Robinson American Legion Post #69, and the Flat Rock American Legion Post #132. Memorials may be made to “Dayspring Christian Fellowship”, with envelopes available at the funeral home. To send flowers or a remembrance gift to the family of Larry McCormick, please visit our Tribute Store. "Email Address" would like to share the life celebration of Larry McCormick. Click on the "link" to go to share a favorite memory or leave a condolence message for the family.